It was important to Dwyane Wade that the campaign for his second annual fantasy camp drive awareness and registration while highlighting his dedication to fatherhood. 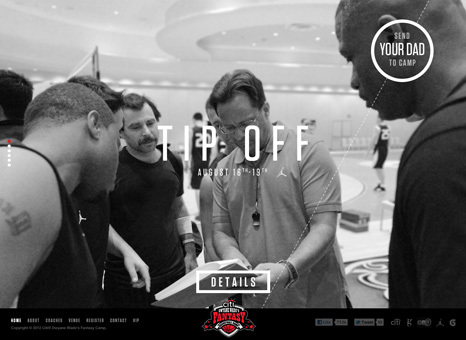 One simple execution wouldn’t accomplish both of these goals, so the team created an integrated digital campaign for the two-time NBA champion, including a new website and a promotional contest on Facebook. 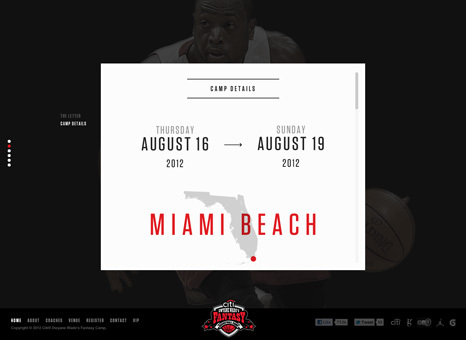 The website for the fantasy camp provided users with basic info on the camp, a letter from D. Wade, bios on all eleven coaches and a page for registration. The site was created using HTML to make it easy to view on any device. Beyond the website, Dwyane’s dedication to fatherhood was highlighted on an HTML based Facebook tab with a "Dad’s Got Game" promotion. The campaign gave kids the ability to submit videos of their dads still going strong on the court, and two winners could earn a spot at Dwyane’s camp. 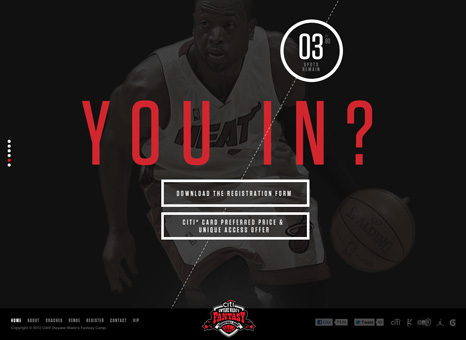 With both increased awareness and registrations, the integrated campaign gave more fans an opportunity to live their dreams of hitting the court with Dwyane Wade.